Meant to post this ages ago and forgot. Anyway, this dude's girlfriend is studying astronomy. 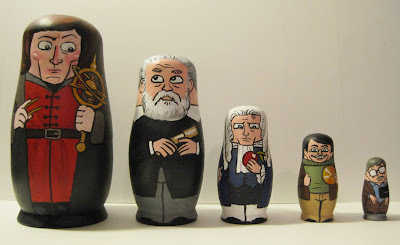 So he made her a set of astronomer matryoshkas. How awesome is that? And it's not just a clever idea—they're nicely done, too. Deservedly picked up by Boing Boing.